The moment I bought my new bathroom, I just knew that I was going to get a serious case of buyer’s remorse at one point in time. Tiles, shower screens, faucets, cabinets and a wash basin – I needed them all and I needed them fast. It was early 2017, I was newly single and not only was my life upside down, so was my apartment after my Polish contractor had ripped out my old bathroom a lot more quickly than I had anticipated. I can say without equivocation that my place had been professionally turned into an uninhabitable warzone. I didn’t even have a toilet! To prevent my contractor from running off to another client, I don’t even think I have to explain to you which blue and yellow store I ran screaming to buy – among other things – a new under sink cabinet and matching mediocre basin. Fast forward two years and about 500 kilometers east – and here I am, at the German showroom at Alape. Glorious, gorgeous, glamorous, glistening glazed steel basins as far as the eye could see – all mounted on equally stunning cabinets: the perfect storm for a serious case of buyer’s remorse. This is my story and I ain’t ashamed to tell it. I don’t know about you, but I rarely step into the world of sanitation to do some field research into the innovations it has to offer. Ideally, you only start looking for a new bathroom with all the trimmings a few months before you actually need it installed – and not when you’re a day late and a dollar short, like I was. In any case, I guess we only get one or two new bathrooms in our lifetime and that is that. You buy it, you have it installed and you get on with your life without giving it another thought. This I why I had never heard of Alape before – until I was asked to be part of a press trip to their head office and factory in the insanely picturesque German town of Goslar. To be honest, I’m always a bit of a sucker for press trips. They are not only the adult version of a school outing with better food, fewer kids and more alcohol, they also provide a great opportunity to nerd out with like-minded interior design writers who don’t mind talking for hours on end about the latest trends in home décor. And, last but certainly not least, press trips often provide a crash course in design and production. Long story short, there’s nothing like a good press trip and Alape – which is pronounced A-la-PAY, by the way – proved to be no exception. Things started off great with a relaxing first-class train journey to Hannover. 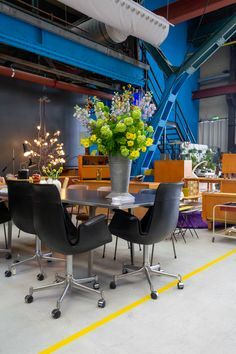 Our group consisted of several interior design writers, a photographer, a representative from Alape and the owner of Mies PR, the one and only Michelle de Ruiter. We mixed and mingled, had lunch on board and arrived at our destination before we even realized it. When I visit Alape in February, the Steel19 hadn’t been shown to the public yet. Well, it is now and it’s a thing of beauty as you can see on the Alape Instagram feed. 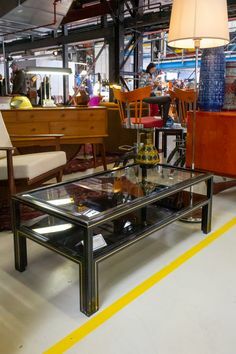 The sleek Alape showroom was a sight to behold but unfortunately also presented all of us with the ultimate design aficionado’s Tantalus problem. Because there it was: a stunning new and top-secret product that could not under any circumstance be shared on Instagram. How we all contained ourselves, I guess I’ll never know. After all, the Steel19 washplace looked like it had just arrived from the future. I for one, started wondering right away what would happen if I’d just rip out my barely two-year old sink from my bathroom the moment I got home and replaced it with this thing of beauty. 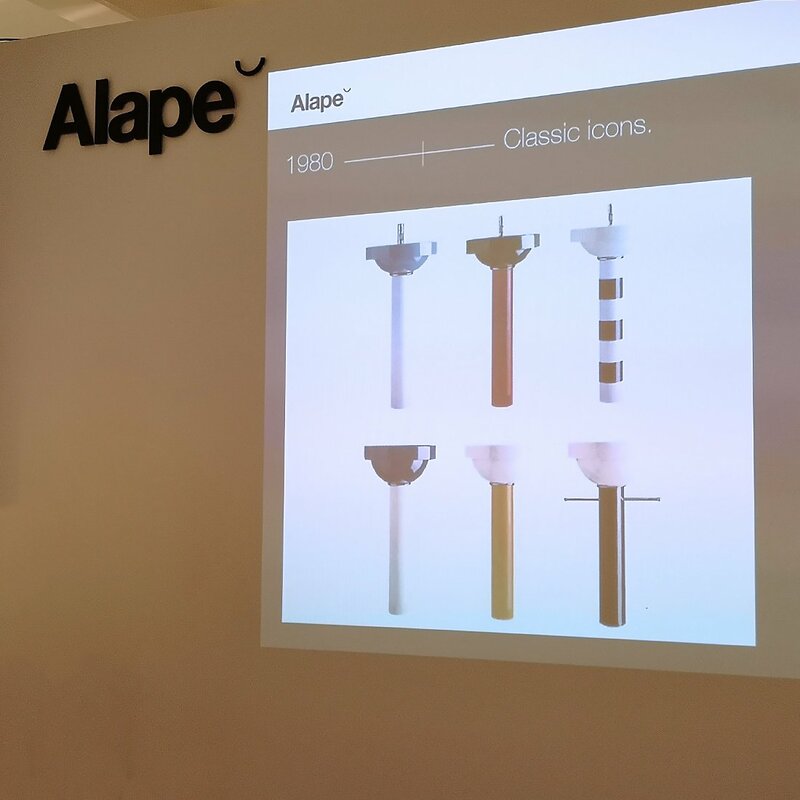 After a minute or so ooohing and aaahing over the Steel19, it was time for a presentation about Alape’s quintessential German brand’s history. Now, I realize you’re probably not as big a history buff as I am, so I’ll spare you the details for now and suggest you catch up on Alape’s story right here. 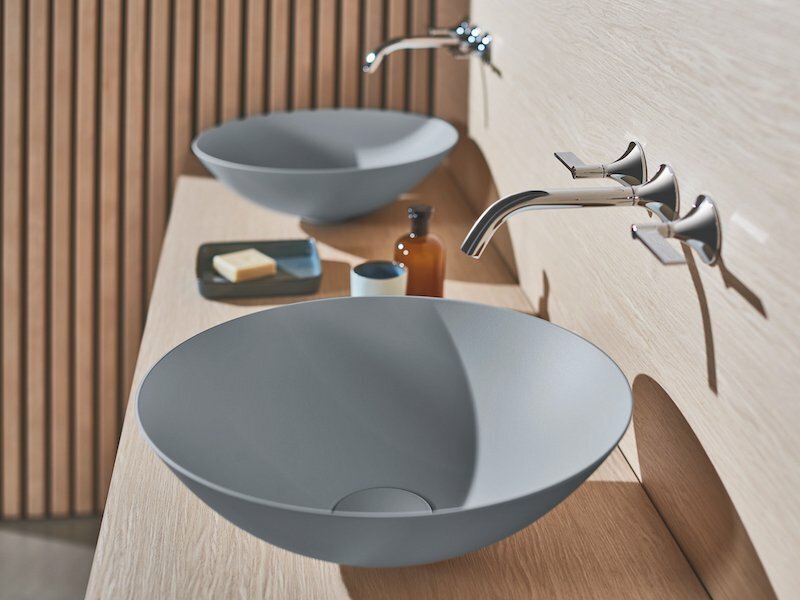 If there are two things that you have to keep in mind, however, it is that a) Alape is really good at making glazed steel basins and b) because they work with glazed steel instead of ceramics, they are able to create some of the most extraordinary and even whimsical designs you’ve ever come across. 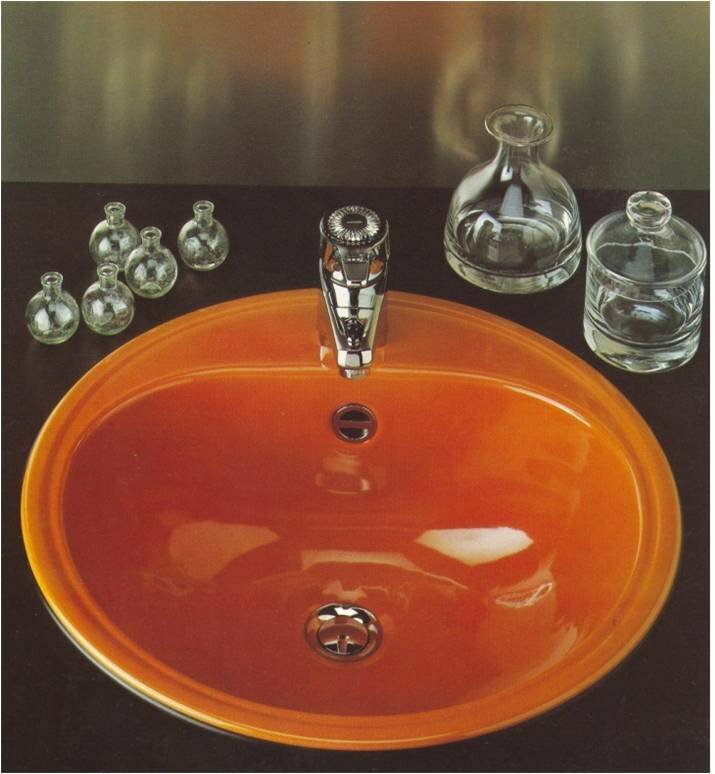 The EW3 basin, which was launched in 1970, was a particularly big hit and was released – in true Seventies Style – in colors like beige, orange and green. And then in 1973, Alape basins were installed in the restrooms of the new Centre Pompidou in Paris on top of a pillar-shaped steel cabinet that came complete with – brace yourself for a fun fact – an ashtray. Love. It. The EW3 came in 16 – SIXTEEN!!! – different colors. If you look carefully, you can still find this iconic basin online – like this soft pink version. The Round Series that was used in the Centre Pompidou. Haven’t been there in ages – are these basins still there? EPIC! There’s really no other way to describe the 1979 Round Series that came with an optional ashtray. Another great photo of the Alape Round Series. 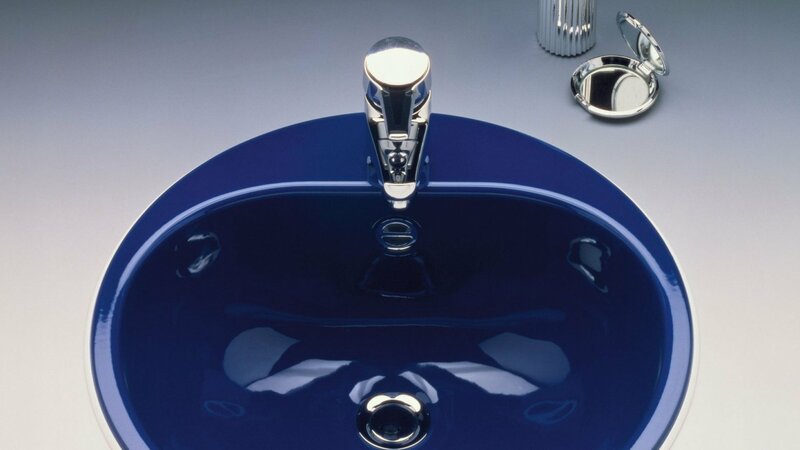 There is no reason whatsoever why Alape shouldn’t rerelease these 1980 Memphis-style basins designed by Dieter Sieger! A touch of ooh-la-la to promote the 1983 Lavarset. 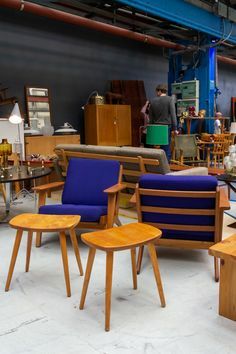 The Lavarset also came in bright red – so Eighties! 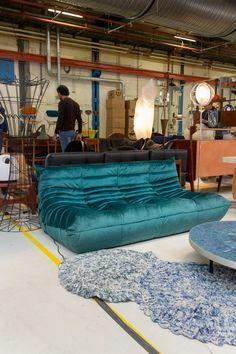 When Alape started working together in the early 1980s with Dieter Sieger, who is still one of Germany’s most prominent and distinctive German designers, even more jaw-dropping designs were released. Looking back at the images of that time, I couldn’t help but wonder why bathroom design nowadays tends to play it so safe. 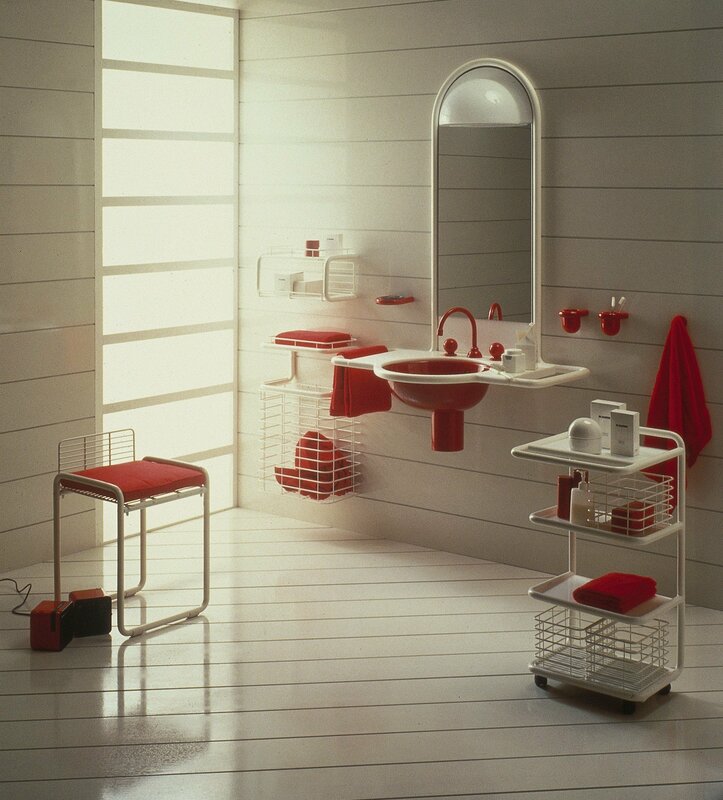 Yes, I know a bathroom is supposed to last you a long time and should not show its age – but that doesn’t mean it can’t be more than a sterile colorless box. It should come as no surprise then, that when I saw the beautiful new Terra and Aqua basins, I was ready to take off all my clothes on the spot and dance naked through the Alape factory shaking a pair of maracas singing Ich bin wie du on the top of my lungs. I was able to hold myself back at the last moment, however, and decided to listen the rest of the presentation first. I learned that the Terra featured a matt, powder-like surface reminiscent of the finest mineral particles – let that ‘sink’ in for a while! When I touched it afterwards, it felt positively velvety. So nice! Velvety! That’s what the powder-like surface of the Terra feels like. And then there’s the glossy hand-enameld Aqua – a thing of beauty! The equally new Aqua basin had a shape similar to the Terra but looked altogether totally different. In fact, I have to admit I was mesmerized by its unusually deep shades of glossy blue, green and indigo. Photos really don’t do it justice and so, this is one basin you have to see to believe. And I don’t say that often! 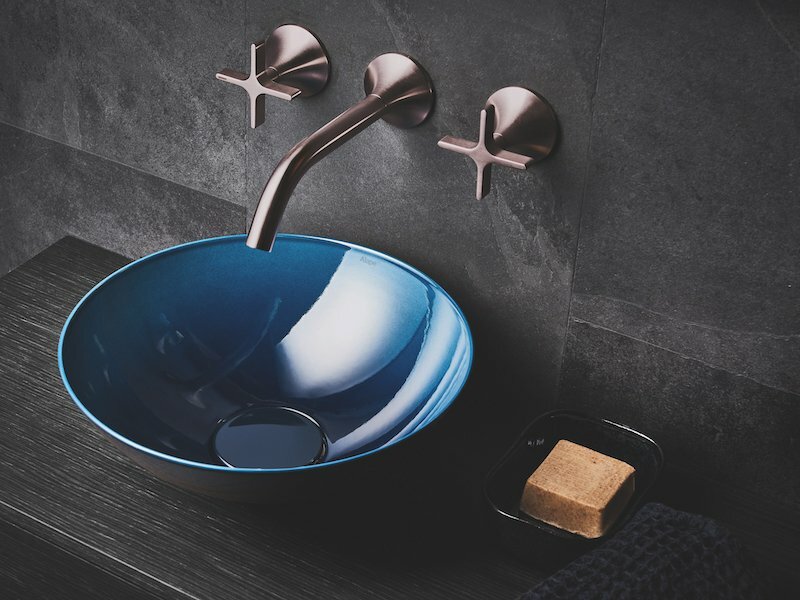 Drooling over the otherworldly Aqua almost made me forget that – like other Alape basins – it is hand-glazed, a craft that can takes years to master. In fact, when our group was invited to do an exclusive tour of the factory the following day, I got to witness first-hand how Alape uses a clever combination of big German machines and even bigger German men to mold, laser cut and hand glaze their basins and then ship them to lucky customers around the world. At the end of the tour, I was duly impressed with every detail of the production process. And how about this for the Icing on the cake? Steel is a recyclable material and the glaze’s raw materials that Alape uses are predominantly naturally occurring minerals. Der Umwelt zuliebe, as they say in German. So, there you have it. Innovative design with rich colors and materials, all sustainably produced by a company with a rich history. What more could you possibly want from a basin? 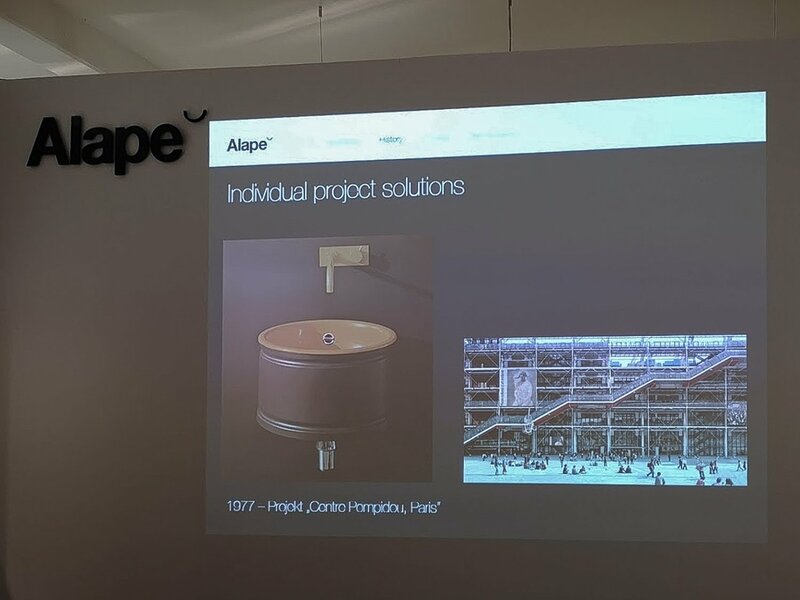 Let my press trip to Alape serve as a word of warning to all of you – and not just those who are currently in the market for a new bathroom. After all, you have all the time in the world to do your research. No, my story is aimed at people like me. People who don’t even *know* that at one point in their lives they need to decide on the spot which basin they have to buy or else their Polish contractor is going to leave them high and dry. Don’t just run to the nearest DIY store and pick whatever boring basin you see first. Instead, do a Google search for Alape and I can guarantee you’ll find something much nicer in the same amount of time. Previous: I got two Vitra chairs for less than the cost of a cappuccino – and here’s how I did it.